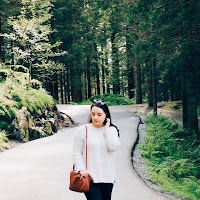 Valentines day and Galentines day is almost here so if you are buying a gift for your partner, friends or family members then hopefully today's post, along with my already published Galentines day gift guide, will help you to find a gift. Thanks so much to the wonderful brands within todays post including Ingle & Rhode, Prezzy Box and Bakerdays. Let's start todays gift guide with the most luxurious gifts which would be ideal for an extra special person this Valentines day. 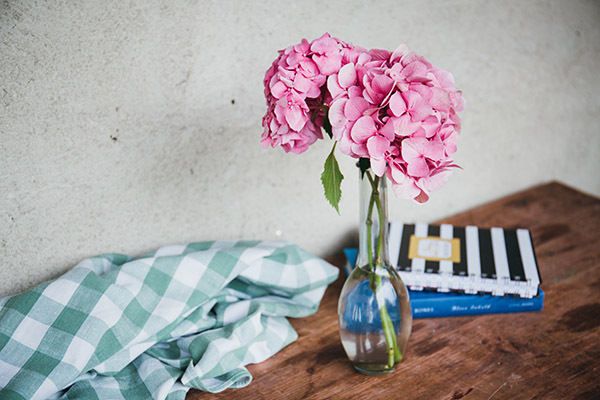 There are a few gifts that are typical of Valentines day such as chocolates, flowers and also jewellery, all of which are quite special, thoughtful and 'safe' gifts to give. However, when it comes to jewellery, there aren't many other gifts that are as gasp inducing and luxe as a gorgeous piece of jewellery, especially when diamonds are involved. 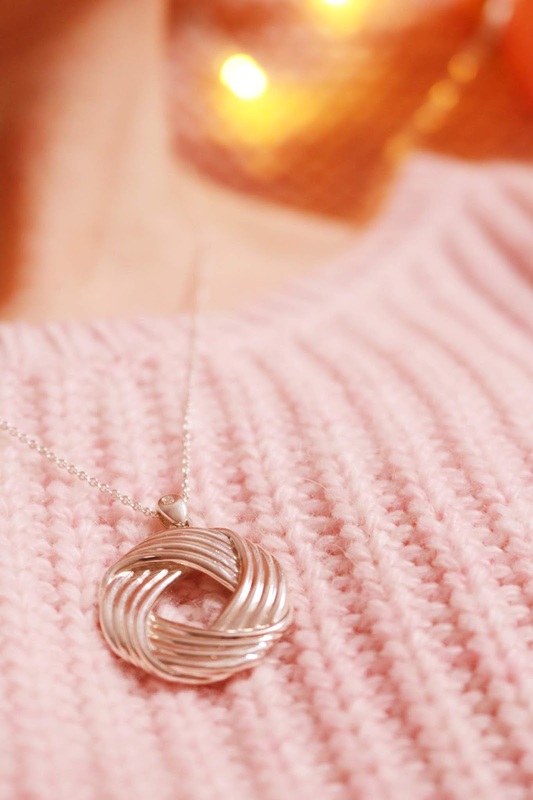 I was very kindly sent the beautiful 'love knot' necklace which is composed of stirling silver and a Canadian diamond, so I think it would fit very easily into the category of very special Valentines day gifts. Diamonds truly are a girls best friend and I don't think that any woman would be unhappy to receive a stunningly beautiful stirling silver and diamond necklace. However, it doesn't end there as the necklace is also nicely presented and packaged (you can see the packaging in the short video below) and the necklace contains 100% ethically sourced materials. 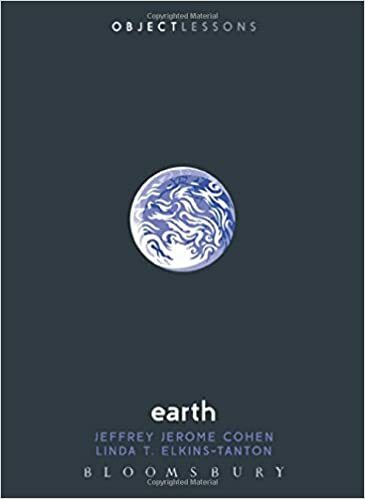 One of my goals for 2019 is to live in a more ethical and environmentally focused way, which is why I've switched to a fully vegan diet and I'm trying to purchase items that are more ethical and green. The history of expensive natural resources such as diamond is tainted by a long and fairly bloody reputation so I'm very glad that the diamonds within this minimal but utterly beautiful necklace are ethically sourced. The necklace is just one within the range available on Ingle & Rhode to choose from and I definitely have my eye on the snowflake pendant. 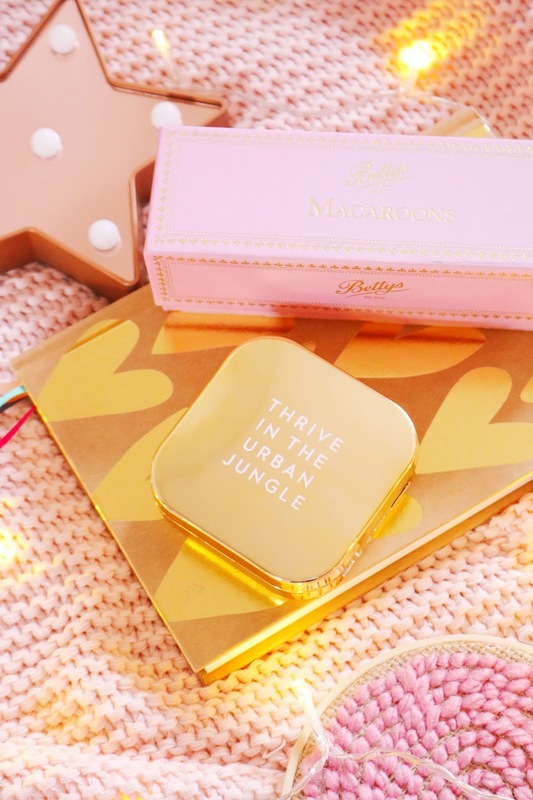 All of their items are gorgeously packaged and designed, high quality and various items are made of recycled gold, conflict free diamonds, fair-trade gold and ethically sourced gemstones which is absolutely amazing! Lastly, Ingle & Rhode have a wonderful selection of engagement rings as well as their bespoke service in which you can create your own - check out Ingle & Rhode to find out more. Jewellery is a very special gift and in my opinion, personalised gifts are equally as special! Growing up, I always wanted to find items with my name but Heather isn't the most popular name so personalised gifts became very coveted. I know that my friends and family love to receive personalised gifts as well so I think this simple but beautiful Prosecco flute would be an ideal Valentines day or Galentines day gift this year! The flute can be personalised with the name of yourself or your gift recipient as well as a short message on the front on the glass. 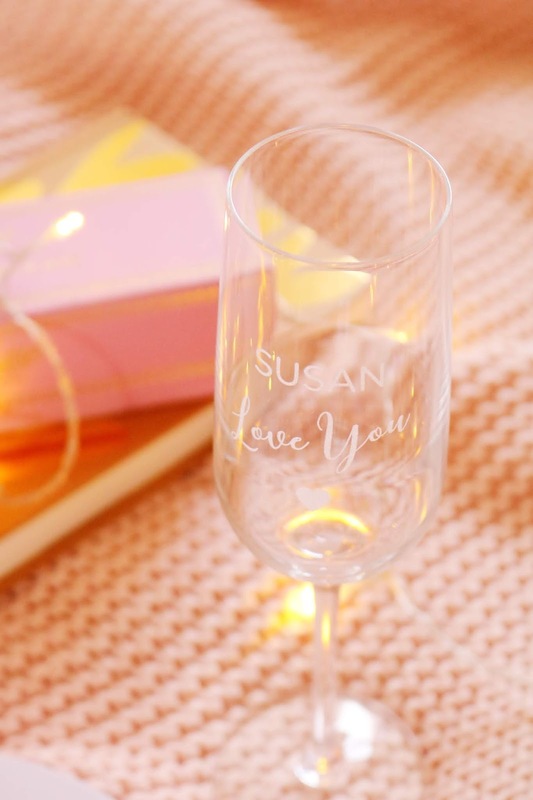 I have the name 'Susan' and 'Love You' on the glass which I'm so happy with, particularly as I love the front and it is so clear to read as well. I think that a personalised glass would make a great hamper addition or on it's own with some chocolates as you can't have Valentines or Galentines day without chocolate. There are so many amazing gifts and personalised gift options on the Prezzy Box website so go, go, go. I've been lucky enough to work with Bakerdays previously but I'm still blown away by how cute their cakes are! I chose the adorable 'nuts about you' cake in the letterbox format but it is also available in 7, 9 and 12 inch cake sizes. I opted for the chocolate chip flavour as I'm going to be having a Galentines day with friends soon and I know that they'll love the chocolate chip option - I have tried the lemon drizzle cake too and it's delicious....I'm not drooling. You can not only select the size, flavour and design of the cake but you can also personalise it, if you want to with a name, message or a photograph (it depends on the cake design you choose); you can also leave it blank as I did. I absolutely love this Nutella style design as I do love Nutella and it's just adorable. Each cake also comes with a cake tin so it is protected on it's journey and it makes for a great storage tin afterwards too - I adore the design of the cake tin I received. I cannot recommend Bakerdays letterbox cakes enough! The final item in my gift guide is a practical but gorgeous gift and if you've read any of my previous gift guides then you'll know how much I love to give and receive gifts that are practical but aesthetically pleasing! 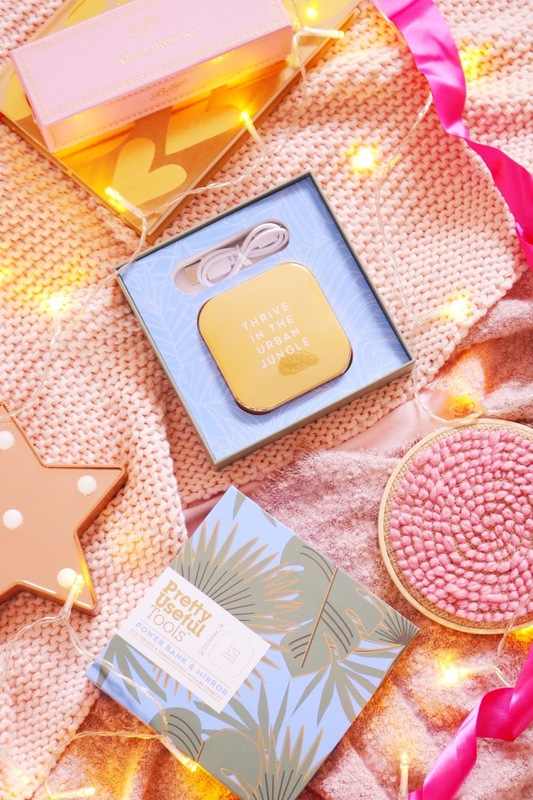 This gift has to be one of my favourite gifts in todays gift guide (although I love all of them) as the box is uniquely designed, I love the style of the powerbank and it's a very handy 2 in 1 product. Not only is the powerbank a great tool for topping up your phone or tablet batteries but it is also a substantial, gorgeously designed and made compact mirror too. If you need to buy for a friend who commutes often or who is going to be travelling in 2019 then I think this powerbank and mirror combo would make for a thoughtful and practical gift to give. The brand 'Pretty Useful Tools' have a range of items on Prezzy Box and I love the style of all of them! 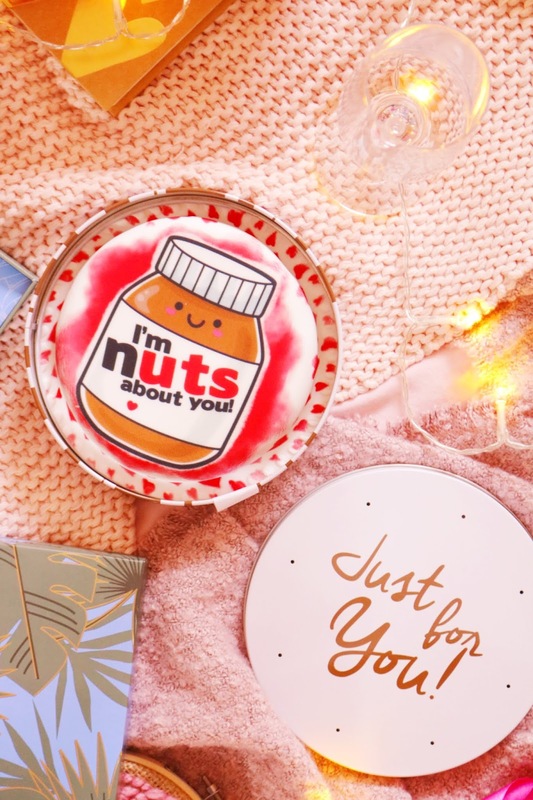 Overall, I think all of these gift ideas would be perfect for your partner or friends this Valentines/Galentines/Palentines day, whichever one you want to celebrate this year. 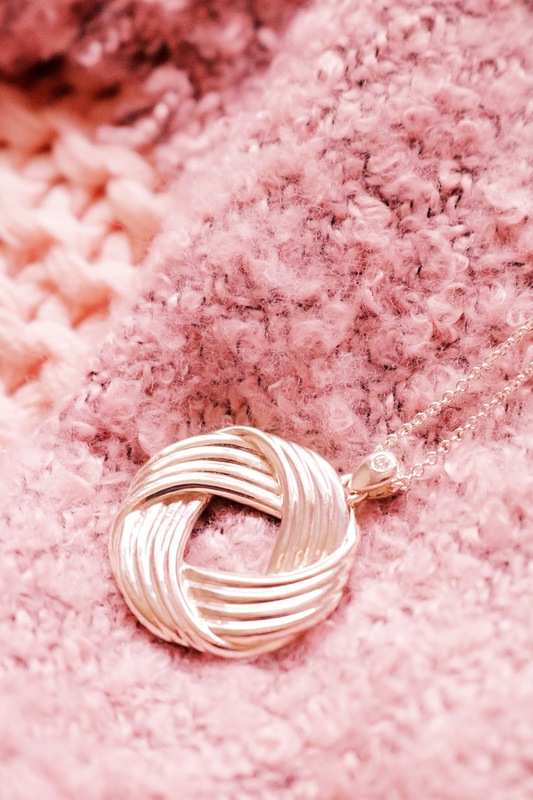 If you want to spoil a special someone with ethical but luxurious jewellery then check out Ingle & Rhode, if you know a cake lover then look no further than Bakerdays and their adorable creations or if you want a selection of unique or personalised gifts then you will find everything you could possibly want on Prezzy Box. That power bank is so handy! oh wow that necklace is stunning, so so beautiful! That love knot necklace is gorgeous. 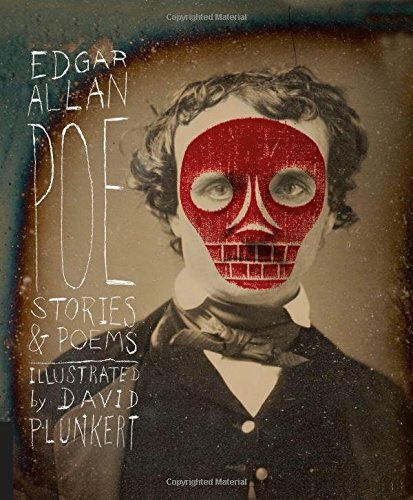 Such a great gift. I love the personalised glass! That's a really pretty necklace! I love the necklace but I wouldn’t say no to cake either ha.